There is a post going around Facebook that was written by a popular “Christian” woman named Rachel Hollis. I am going to share it with you and my comments are in parenthesis. Her type of thinking is lukewarm at best and doesn’t present the Gospel of Jesus Christ at all. This is why it’s so popular among the masses. 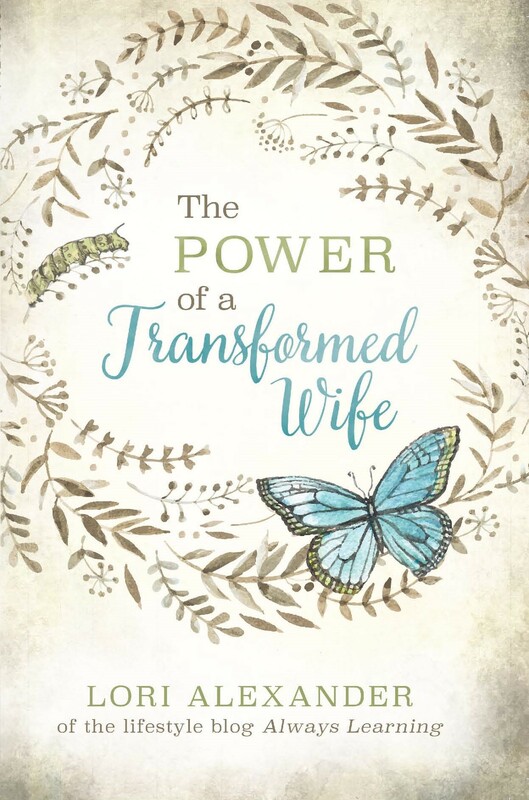 She wrote from her emotions and feelings (as many women are doing today) instead of from the truth of God’s Word. Please, dear women, be very careful whom you learn from. None of Us Want to Grow Old? Mothers Who Work Outside of the Home are Better Mothers? Oh, Lori – you so NAILED IT here. It’s so sad that women like these even manage to scrape up a few meager followers, let alone the raging hordes of women eager to drink in their false teachings. Thank you for this kind but honest response to her. You’re welcome, Diana! Unfortunately, many “Christian” women are being led by those who are teaching a false doctrine instead of the truth of God’s perfect Word. Paul says that she is to be accursed! It’s easier to preach a false gospel that allows everyone to remain as they are but it doesn’t help them at all. We must always keep eternity in our vision even if it means others say evil things about us. thanks for posting this,Lori. I unfortunately fell into this same trap and trying to recover. apologized to my kids, but they still have unfortunate memories of mom cussing, drinking wine,watching immoral shows. influence has been minimized w/younger ones, but my oldest is struggling to come out of this lifestyle. request prayers for him to come completely out of this poor influence. I regret w/all I have. please keep writing to stop others from falling into this trap. What parents do in moderation, many times their children will do in excess. They see mom cussing a little, drinking alcohol, reading immoral books, and listening to worldly music, then they will grow up to see nothing wrong with these things and have been trained to do them. We must train our children up in the nurture and in the admonition of the Lord! That is very sobering. Thank you for this admonition. Thanks so very much, Lori. May we all be encouraged to share this with someone. I’ve asked the people I’ve shared this with to in turn share it with someone else. There’s not much time left to get the Gospel to others. You’re encouraging all of us older women to teach the younger women among us by sharing these great posts! Thanks. You’re welcome, Holly. May we NEVER be ashamed of the Gospel of Christ and the truths of His Word! 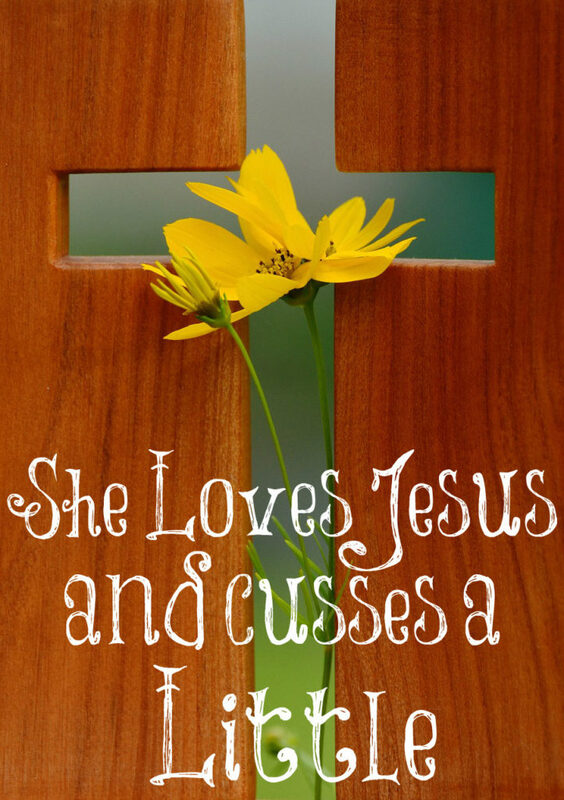 I would say to her( playing on the words of her book title) “Girl Go Wash the Wordliness Out and Get Right With God”. That should have said “Worldliness” Don’t you just love auto-correct? I am so grateful for you. I am getting better at seeing this myself thanks to you but I have not always before I started reading your blog. I use to enjoy Beth Moore and went to her video classes at church even. Keep spreading God’s truth. You are in the minority. We simply need to keep going back to the truth of God’s Word. If something we are hearing isn’t matching up to it, then you will know that it is false teachings. Sadly, many believe this and are leading many astray. I just read some of her posts on Facebook. She wants the best of both worlds: the Christian followers and the worldly followers, so she waters down Christianity. She’s using Christ as an angle. She knows that if she takes the watered down version of Christianity out of her speaking, she would be just another regular, worldly, motivational speaker. Every time I see authors like her, I cringe. Why are we (Christians) expected to be open, accepting, and accommodating to everything (e.g. homosexuality) without leading people to Christ? They (non-Christians) want us to “love on them”, but not expect them to follow Christ wholeheartedly? I’m confused. They are part of the “seeker friendly” movement who don’t want people to feel uncomfortable, judged, convicted, or challenged. They change the Bible around to say that there really isn’t a hell and sin is irrelevant. They throw out Paul’s and Peter’s teachings since “they were just men.” They make up their own bible to fit their agenda according to their emotions and feelings. It’s a dangerous place to be. Lori The seeker friendly movement is dangerous on so many levels. How are Christians supposed to grow spiritually if they are not told the truth? On a side note readers of your blog who have their own blogs should be aware that trolls who disagree with Lori may try to troll our blogs because their comment was blocked or they just want to argue their point without actually commenting here. That happened to me so just be aware. Yes, you all can be expected to have trolls if you speak truth but this is okay. If God be for us, who can stand against us! You said it perfectly! All the push-back Christians get, for what, sharing the truth. Yes, because the truth of sin is uncomfortable. It pinches you, it ouches! So, these folks don’t want anyone to be hurt, but look what pain our Lord endured to nail those sins to the Cross! I love this post Lori! You are spot on once again. Keep teaching the truth and sharing your wisdom. Thank you, Stephanie, and I plan on teaching the truth of God’s Word until I am no longer able. Blessings! Amen, Amen!! Thank you, Lori, for always teaching the TRUTH!! May God bless you, dear sister!! You’re welcome, Crystal, and thank you! I hope you enjoy it! I have not read this book yet but, I think there is a balance between grace AND truth that we must continuously seek. We will all lean towards one more than the other because absolutely none of us are perfect. I agree. The Gospel includes love/grace and repentance/obedience. Most these days want to lean only to the side of love/grace without ever mentioning repentance/obedience which is really no gospel at all. “Go ye therefore, and teach all nations, baptizing them in the name of the Father, and of the Son, and of the Holy Ghost: Teaching them to observe all things whatsoever I have commanded you: and, lo, I am with you always, even unto the end of the world. Amen.” (Matthew 28:20) And believers ARE righteous once we believe in Jesus Christ. He clothes us with His righteousness! Lori, I saw her post on Instagram and I got SO upset! Then, I remembered you saying how there are so many women’s ministries that we basically should NOT follow. I unfollowed her immediately and then went through my Instagram list to see if there were similar women that I was following who were like her. I was NOT a Christian for many years. I lived a sinful life! But now that I am, I don’t want to be just like the world! I don’t want to cuss, drink, or watch immoral shows, not even a little! She was GLORYING in the flesh, instead of focusing on the ✝️CROSS and what Christ did for us! She’s just choosing to glorify sin, instead of holiness! I am not perfect and I’m still a babe in Christ, but I am NOT glorying in my sins! We should abhor sin and even as believers we do sometimes sin but it still grieves the Holy Spirit! It’s not something to show off! Even worse is she had TONS of likes and comments from fellow believers on her post! What are these women thinking?! Thank you so much for this blog post! God bless you! You are right on, Adrienne. I never want to brag about my sin. I want to brag about Christ who helps me to overcome my sin! Thankfully, Christ makes us new creatures in Him who want to obey Him in everything, with His Spirit working mightily within us. I have to tell you, this woman didn’t sound like a Christian at all. I clicked on the link you have to her facebook post and moved over a few pictures to the right where she states “this is the day that the Lord has made! (…)it doesn’t matter what your religion is or who you worship, what matters is that you recognize that this day is a gift!”. The other thing I noted is that she likes encouraging people as if she were someone with any authority. Jesus was noted for this, at the age of 12, but because He is the authority. She is just someone trying to make herself feel good and powerful. It’s a joke. It’s very sad that so many women are listening to young women like this who are deceived and deceiving others, Gabrielle. This is why God commands older, godly women to teach the younger women. He is good and His ways are perfect! This woman has over a million people following her – that is just unreal. I have heard of the book but not the person. It does sound like she wants to be worldly and be a Christian speaker. Hopefully she will decide to follow Jesus and stop the false teaching. Thank you Lori for this post. I too went to her account to see and am horrified. “Itching ears” is what comes to my mind… Very sad that even “Christian “women are falling for people like this. It’s because they are not in God’s word and they don’t know it. Loved this Lori!!!! Stand firm in your beliefs and never back down because of the awful hatred of some people! I am praying for you, that Our Father will keep a hedge of protection over you while you spread the truth!!! Your blogs always encourage me in my faith walk! Your post is right on, Lori! Thank you for your teaching. I have learned a lot from you.